The chairman of the House Committee on General Investigating and Ethics said he plans to investigate allegations that witnesses were signed up improperly to speak at a meeting from which state Rep. Jonathan Stickland was escorted out. "There will be an investigation into allegations of broken rules," said state Rep. John Kuempel, R-Seguin, the committee's chairman. Late Thursday night, state Rep. Joe Pickett, chairman of the House Transportation Committee, ordered Stickland out of the hearing. Pickett, D-El Paso, accused Stickland of listing witnesses who were not in Austin as supporters of the Bedford Republican's House Bill 142 to ban red light cameras. "Please leave the committee room or be removed," Pickett told Stickland, according to a video taken by an audience member that had been viewed more than 4,000 times by midday Friday. A frustrated Stickland left the hearing room, with a house sergeant following behind him, the video shows. 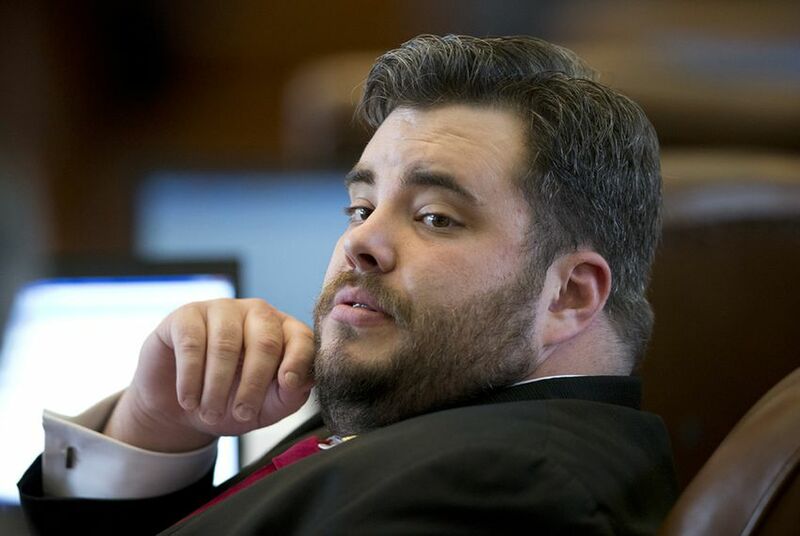 Stickland declined to comment Friday morning. And Pickett said he couldn't provide much information due to the pending investigation. He said he told Kuempel about his concerns about Thursday night's hearing, in which nine bills were scheduled to be considered. Pickett said he did not specify a specific bill heard at the hearing as the focus of his suspicions. When asked about whether any rules were broken during Thursday night's hearing, House Administration Committee Chairman Charlie Geren, R-Fort Worth, said, "I don't have any comment at this point." Typically, videos of public committee hearings are posted on the Texas House website within hours of their conclusion. Yet the video for the late-night portion of the House Transportation Committee's hearing had not been posted as of midday Friday. Several House officials — including the committee's clerk, Samuel Gammage — said they were unsure when it would be publicly available. Pickett declined to comment on the availability of the video. Kuempel said he believed the reason the video was not released was because "it was part of an investigation."